Today, U.S. Sen. Mark R. Warner (D-VA) introduced the Teacher Loan Repayment Act(TELORA) to improve the way federal teacher grant and loan assistance programs are administered in order to incentivize talented teachers to enter and remain in the hardest-to-staff classrooms. Confusing eligibility requirements and lengthy commitments have prevented many teachers from taking advantage of existing loan assistance benefits, and some of these programs can actually cost teachers more money in the long run because of the way they are administered. 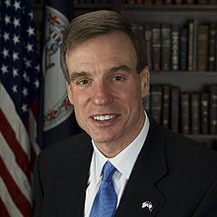 Sen. Warner’s bipartisan legislation with Sen. Orrin Hatch (R-UT) would streamline the current menu of federally-sponsored teacher loan assistance programs in order to provide real financial relief for teachers who work in the most impoverished, challenging schools. The bipartisan legislation was also introduced in the House of Representatives by U.S. Reps. Suzanne Bonamici (D-OR), Susan Brooks (R-IN), Richard Hanna (R-NY) and Derek Kilmer (D-WA). Teacher Loan Repayment Act (TELORA) would eliminate the wasteful patchwork of teacher loan assistance programs and replace them with one streamlined federal program that provides all eligible teachers with a monthly loan payment. Each loan payment would count towards Public Service Loan Forgiveness (PSLF), resulting in full loan cancellation for teachers after ten years. Under the bill, the federal government (as administered through the states) would put $250-400 towards every eligible teacher’s loan payment each month, up to a total of $23,400. If the teacher’s monthly payment is less than their monthly allotment under TELORA, the remaining money would go towards paying down the loan principal. These payments would be non-taxable, providing hardworking teachers with substantial financial relief every month. Only teachers who choose to work in Title I schools (schools enrolling at least 40 percent of children from low-income families) would be eligible to receive loan forgiveness under TELORA, providing teachers with an extra incentive to work in the most challenging schools where students need them most. The payments for TELORA would ramp up every year, rewarding teachers who choose to stay in the classroom long-term. To implement TELORA, states simply report the number of eligible teachers to the federal government, designated federal funds are sent to state agencies, and then those state agencies pay federal funds to the lenders directly. Instead of a complicated application and verification process, teachers simply watch a portion of their loan payments disappear each month.